Great place to rent, Free dump station, free ice, free powerwash, air for the tires and all the units are drive up! i love this place because they have everything i need for my toy hauler and also because raul is there to explain everything to me. My storage unit was big ,I just love going to my unit ,it is so easy to go in and out.they have a large trash bin.I stop buy get a coffee . And when I leave I fill my cooler with free ice. The place is clean. Lorena is super professional. Glad I found this place . Will be storing here for a while . Best storage outlet!!! Everything is clean.Lorena was very nice and was super helpful. Great storage at a good price. I rent a 10'x20' for just over two bills a month. Awesome managers! Both are very friendly and helpful. Very clean place and good prices! 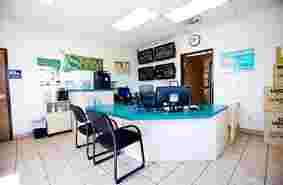 Superlative service, and well managed facility. 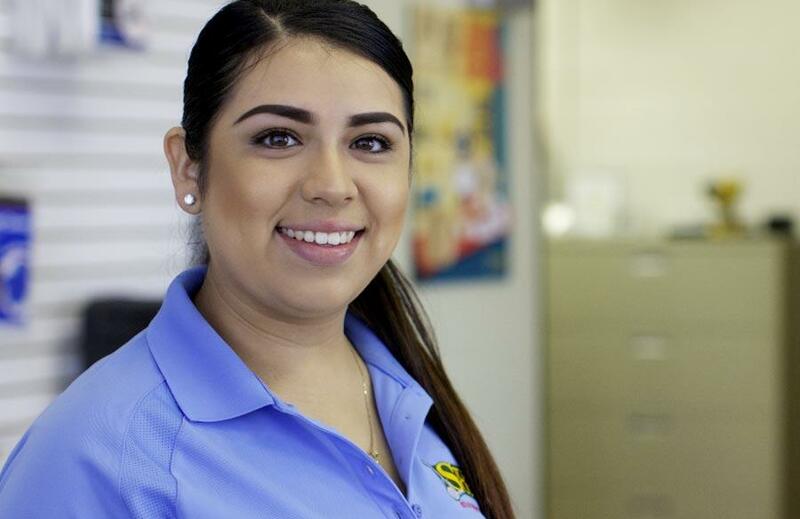 I rent a small storage unit, and the staff is always nice, friendly, and very helpful. Would recommend for sure. Great people! Great place! I park my truck there, and the staff is very friendly with me and my co-workers! Best place ever! Maria and Lorena are amazing and so helpful. I been here for 4 years and by far these two managers go above and beyond to help us if we need it. I definitely recommend storing here. This is a great facility , great staff !! Managers are always cleaning and doing rounds. Makes me feel comfortable to store here. I would recommend this place. Free ice as well, and they also let me wash my car here! I love this place. .Maria and Lorena are very nice and helpful. Very secure place to storage and park. I would recommend to anyone. Renting a unit here was easy. They reserved a unit for me to view online and the price was honored. Staff was honest and informative of their units and pricing. They are also very understanding and respond in a timely manner. I like the fact that all the storage units are ground level so there are no stairs to climb. Getting this unit was really easy and straightforward. I never have any issues and coming and entering is always easy. Its clean and I've had nothing but positive experiences there. I had my fur baby with me the day I signed the paperwork and someone watched her for me while I did a quick viewing of the unit display. Little things like that make me happy to do business there. Have had unit here for many years. Staff is always friendly and helpful! Property is kept clean. Highly recommended. .
My visit to u.s storage was very good Fillbert was very nice and friendly. Was very satisfied with everything. This is a nice place. The staff has been helpful. When the increase happened, as they do, I looked at other lots and here was compatible ~ why move. I enjoy the dump station, ice and pressure wash station. The only reason not to give a 5 star rating is when it rains, I'm in the middle of a row and I need boots to get to my unit. In sunny southern California, that doesn't happen much so the problem isn't major. We have our RV at this place and it's been twice already that someone breaks into the bottom bins and steals stuff. They always run out of ice and access hours got reduced. 6/25/16 Update: today we went to pick up RV and had to file a police report my RV was broken into again and all out stuff was taken from our bins. They even tried stealing our outside television, when we told person in the office they didn't really care or show any concerns but just instructed to file a police report. So as of today they just lost a customer. Would not recommend this place. 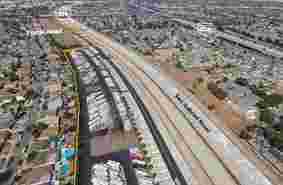 Bellflower has transformed from a dairy farming community into a typical Los Angeles County suburb. Bellflower and its neighboring towns are much less expensive than more affluent areas of the City of Angels, so many people living in Bellflower commute to LA. Unlike in some other LA suburbs however, this doesn’t necessary mean they have larger houses, garages, or yards with storage space. Instead, many Bellflower residences are apartments or smaller homes. Residents commute for the price rather than the extra space, so Bellflower self storage is definitely in demand. Bellflower is unique in that it’s one of a handful of Southern California cities that have containerized storage facilities. 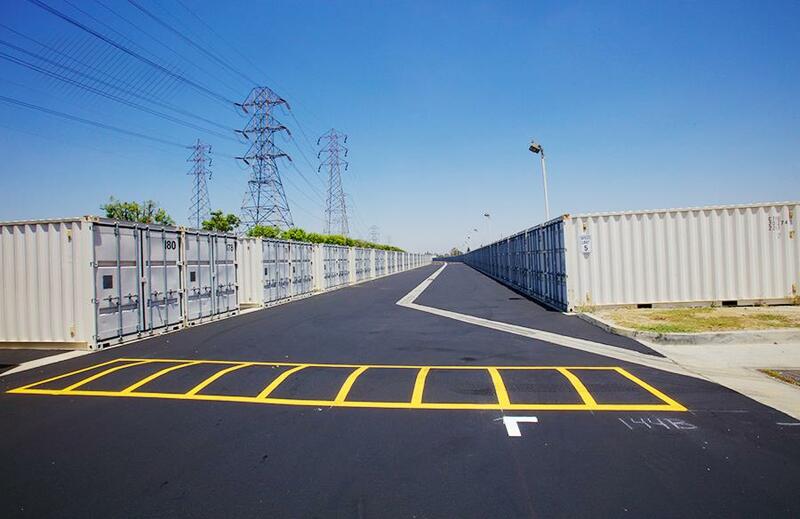 Most SoCal storage facilities utilizing shipping containers for storage units are on Edison easements. Generally, land under power towers and lines is undeveloped or rented to nurseries. Self storage on undeveloped Edison land was an interesting concept utilized by a few self storage developers in SoCal. Shipping containers were utilized because of regulations and building restrictions. This led to the unexpected benefit of containerized self storage. Shipping containers are airtight storage units! This means that dust, dirt, ashes from fires, bugs, and rodents have zero opportunity to enter your storage unit. There is an exception however, if the shipping container has been modified with a traditional self storage roll up door. Although Bellflower storage facilities do everything they can to keep your storage unit clean, exterior drive-up storage units do have the potential for dust or critters to enter. For this reason savvy self storage renters get interior units or upper-level storage units. Although you lose the convenience of driving up to your storage unit door to unload and load, the interior and upper-level storage spaces are cleaner and cost less. What’s better than a cheap clean storage unit?! The great thing about containerized storage facilities is that you get the benefit of the convenience of a drive-up unit, with even greater cleanliness than an upstairs interior storage unit. Containerized storage facilities are often the cheapest self storage in town. The self storage company rents the land from Edison, and they don't incur the expenses of building a traditional storage facility. These are savings the company can pass on to you as a storage tenant. Storage deals are always muy bueno. The downside to containerized self storage is the temperature in your storage unit. Given that it’s airtight, the temperature can rise above that of a traditional storage space. This isn’t a problem for the typical storage tenant. Most furniture and general household items can be stored for years, even at high temperatures, without issue. Storing old files and tax returns is obviously not a problem. Temperature becomes an issue when storing sensitive items like musical instruments or art. Other times, temperature might not be an actual concern, but self storage users prefer moderate temperatures when storing expensive items like jewelry or furs. If temperature is a concern, opt for climate controlled self storage in Bellflower. Fyi, it’s also called temperature controlled self storage (and some companies even use other names, but it’s all the same thing). In regions colder than Southern California, many storage lockers are heated rather than cooled. Hard to imagine that on a particularly hot summer day in Bellflower! If you do need a climate controlled storage unit, then remember to get an interior or upper level unit to ensure a clean and affordable storage unit. You may even be able to ask the manager for an extra self storage discount. Bellflower does not have any nearby military bases, and therefore there is little military storage in Bellflower. The nearest base is the Naval Weapons Station (a Naval Base) in Seal Beach. There is also the Long Beach Naval Complex (in Long Beach as the name implies). It’s an easy drive on the 605 freeway between Bellflower and Seal Beach or Long Beach. You can find cheaper self storage in Bellflower since the cost of land decreases as you move farther inland from the coast. Your individual circumstances will dictate whether it’s worth the extra drive to get more affordable storage. If you’re going to have a storage unit for a longer period of time (more than a couple years) and you don’t need to access it often (only a few times a year) then it may be worthwhile to commute to a Bellflower storage facility even if you are serving on a military base thirty minutes away. 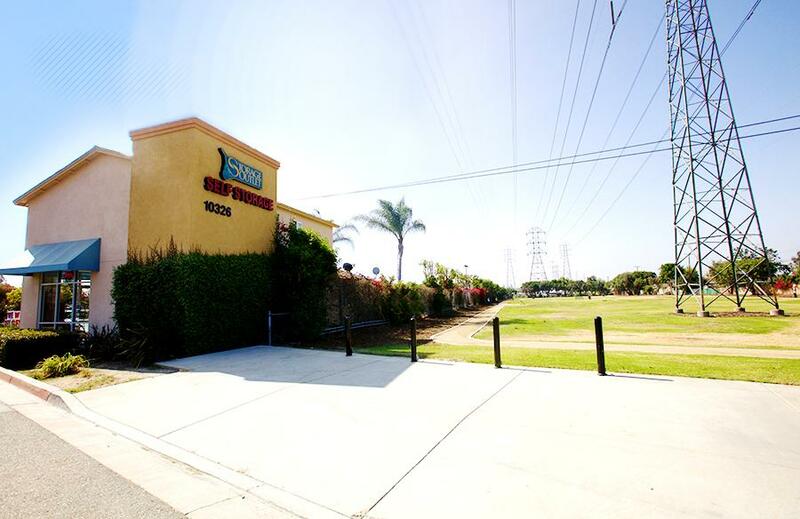 There are not any colleges in Bellflower proper, but there are universities in neighboring cities, and therefore there is some need for university self storage. Cerritos College off of the 91 Freeway is the closest college and Bellflower self storage would be easy for a Cerritos College student to access since they can take the 91 into Bellflower. Biola University, Cypress College, Long Beach City College, and Compton Community Educational Center are also within reach. However, anyone living in LA knows commuting in rush hour traffic is not something to voluntarily sing up for. If your schedule is not flexible (allowing you to avoid traffic) then it’s better to store close to home. It’s also important however, to not only consider where you are going to school, but also where your stuff is located before you move it to storage. If you live in Bellflower, and are moving to Whittier College or California State University, Long Beach (CSULB) then it may make sense to find a storage unit in Bellflower. This option makes sense if you want a smooth and easy move to your storage unit and won’t need to get things from your Bellflower storage facility often. If however, you’ll be visiting your storage unit regularly, then choose a storage facility near your university. If you’ll be a long-term storage tenant, then also consider where you’ll relocate after college! If Bellflower is home and you know you’ll return to your roots post-college then you have your answer. If you’re worried you’ll fall in love with the beach, then opt for a storage locker near CSULB. Either way, be sure to inquire about Bellflower student storage discounts! The title RV and Boat Storage is common lingo for the storage industry, but it’s a bit of a misnomer. Bellflower storage facilities have storage spaces that work for anything with wheels! At our Bellflower self storage location for example, in addition to RV storage and boat storage, we have customers storing limos, motorcycles, trailers, moving trucks, semi-trucks, regular old cars, fifth wheels, and even school buses! 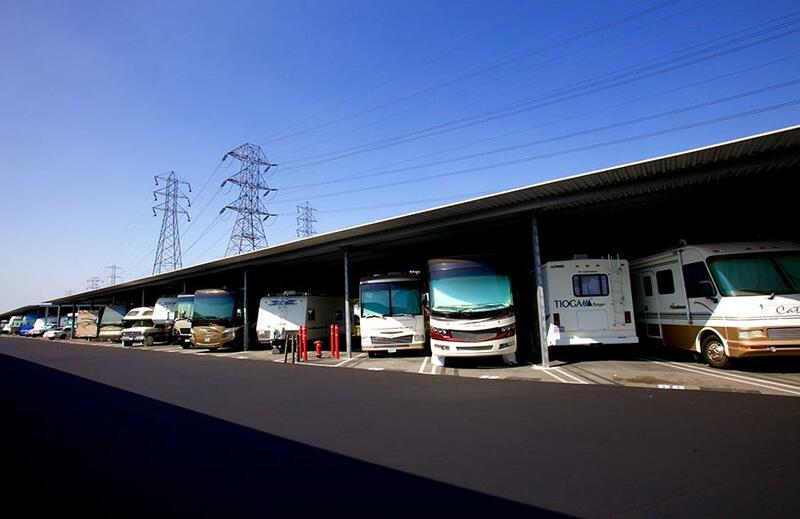 Beyond searching for affordable RV storage, customers generally consider whether their RV storage space is covered or uncovered, security precautions at the particular Bellflower storage facility, and the length and width of the RV storage space. The length of an RV space is pretty straight forward – the RV either fits or it doesn’t. The space width however, is an underappreciated RV storage consideration. Let’s face it, RVs are difficult to maneuver, and some of us are better drivers than others. RV owners however, might not be willing to cop to subpar RV driving skills. To gain some objectivity, consider how often you are honked at when driving your rig. Does your spouse complain from their shotgun position? Do you have a lot of backseat drivers? Enough said. Opt for a 12 foot wide space that is much easier to navigate than a RV storage space that is only 11 feet wide. If you want to rent a covered RV storage space in Bellflower, consider the height of the cover to ensure you have proper clearance. Also consider angles of the sun. Just because your RV storage is covered doesn’t mean there won’t be any sun on it. Will the sun be hitting your RV when the sun is rising or setting (when the sun is lower than the cover)? If you don’t want your RV exposed to the sun’s intense rays, then definitely opt for an RV cover, even if you’re getting a covered RV storage space. Uncovered RV storage is less expensive than covered RV storage, so also be sure you’re willing to pay the extra money considering the age and quality of your RV. If you are a water skier you may be headed to Lake Havasu, Castaic Lake, Lake Piru, or Silverwood Lake after hitching up your boat at your Bellflower boat storage facility. Be sure to avoid heavy traffic hours, and any of those water skiing destinations are only a few hours away. Favor a fishing rod over water skis? 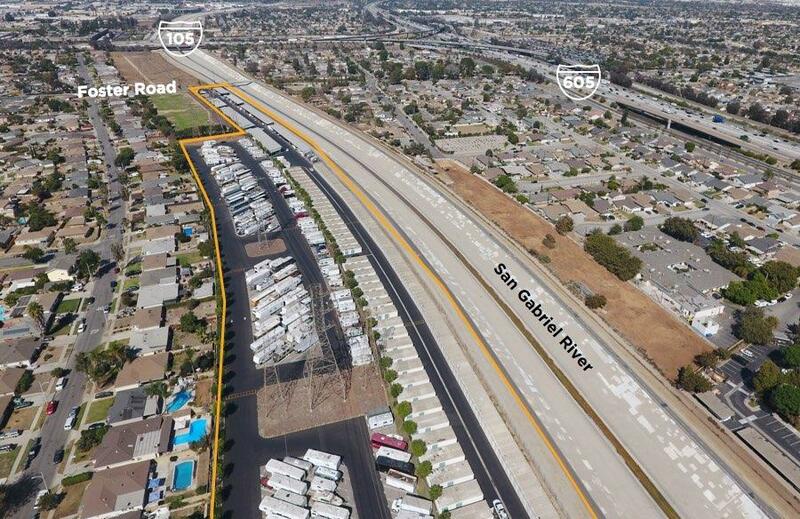 You’re likely headed to Lake Perris or Diamond Valley Lake if you’re staying in Southern California, but you’re still within reasonable driving distance if you live in Bellflower and want to store your boat in your own backyard. If you live in Bellflower, the benefit of renting at a Bellflower boat storage facility is convenient access to your boat storage space regardless of your destination. However, if you’re uber A-type and have a favorite fishing hole you exclusively head to, then your boat storage options are wide open. Perhaps there’s a boat storage facility near your end location. That would save you fuel costs since you wouldn’t be towing your boat the entire drive. Perhaps there’s an area along your route with cheap boat storage because of low demand or oversupply of boat storage facilities. If choosing a remote location, consider the hassle of remote boat maintenance. Also consider pre-paying to lock in your storage rate. It would be a shame to rent several hours from home to get the cheapest boat storage, only to have your rent increase shortly after renting your storage space. Regardless of whether you use Bellflower boat storage, but sure to wear sunscreen when you’re on the water!